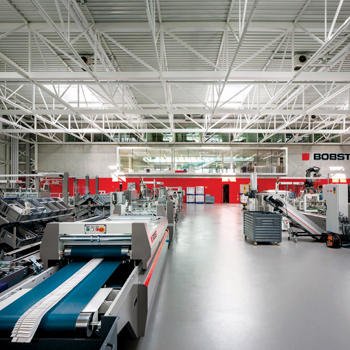 Radical capabilities of the technology behind Bobst’s new digital printing press for corrugated has been recognised with a gold award at the recent Fefco technical conference in Barcelona. As previously announced, the press is a stack-to-stack solution ideal for integration into corrugated plants’ existing logistics systems. The pre-coating unit allows the press to print onto a wide range of corrugated substrates, giving the converter maximum flexibility in production. The Masterflex-XL is a high-quality flexographic printing press than can be installed offline, or inline with either a Bobst rotary or flat-bed die-cutter. The press features the company’s Start and Go system, which sets and then maintains register in conjunction with its Registron S5500 register control and a new SC500 adjustment system; a no-crush feeder; iQ300 image control which ensures any out of conformance print is ejected; vacuum transfer; sheet cleaning; and an automated stacker. The press has an offline speed of 12,000 sheets per hour.